Stories began appearing midway through 2016 asking whether it was the worst year ever. It wasn’t. It’s wasn’t even the worst year in the last half-century. (Try 1968. Or 1974. Or 1979.) 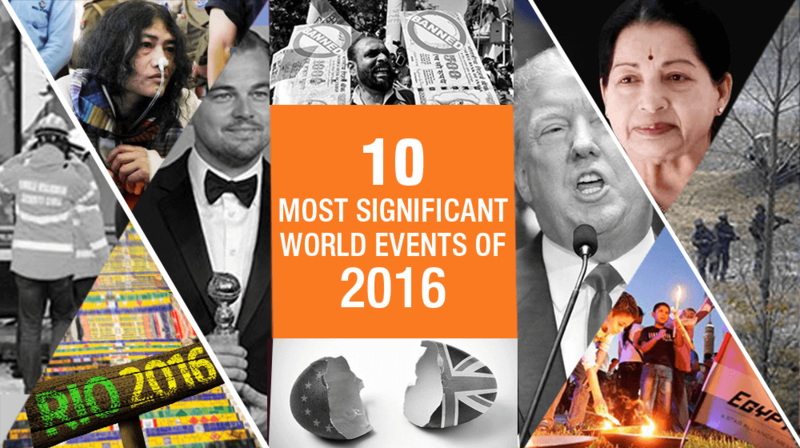 But 2016 certainly experienced its share of significant world events. Here are my top ten. You may want to read what follows closely. Several of these stories will continue into 2017. Colombia Strikes a Peace Deal Supporters of the peace deal signed between the government, and the FARC rebels gather at Bolivar Square during a march for peace in Bogota, Colombia on October 20, 2016. If at first, you don’t succeed, find another way to get the job done. Colombian President Juan Santos took this advice to heart. He first won election back in 2010 while promising to continue Colombia’s 50-year-old fight against the Marxist guerilla group, the FARC. Once in office, he changed his mind. Years of peace talks finally culminated with the announcement on August 25, 2016: The two sides had agreed on six negotiating points, and a national referendum would be held to approve the deal. Santos’s predecessor, Álvaro Uribe, led critics who assailed the agreement for its leniency towards the FARC. Polls predicted that the “yes” vote would carry easily. But Colombians voted down the deal. Santos, who was awarded the 2016 Nobel Peace Prize for negotiating the agreement, proceeded to hammer out a new deal. Unveiled on November 24, 2016, it toughened some of the provisions on FARC members. But the biggest change was dropping the requirement for a national referendum. With no need for the public to vote, the Colombian Congress approved the deal a week later. Colombians now hope the deal works; the conflict with the FARC has killed nearly a quarter million people. 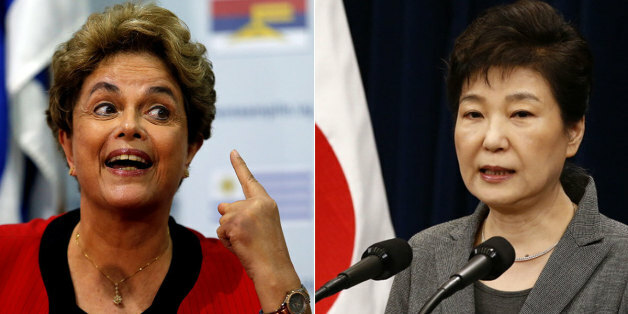 Pro tip for democratically elected politicians: avoid scandals.Brazilian President Dilma Rousseff and South Korean President Park Geun-hye both missed that memo. Rousseff thought that 2016 would be a year of political triumph as Brazil prepared to host the Olympics for the first time. Instead, an underperforming economy and a massive scandal at Petrobras, the state oil company she once headed, helped drive her approval rating down to 13 percent. Rousseff was not implicated in the Petrobras scandal itself. Instead, her opponents charged her with cooking the books in 2014 to hide Brazil’s growing fiscal deficits and ensure her reelection. In August, the Brazilian Congress sent her packing.In South Korea, Park came under fire in October when news broke that a long-time friend had used their friendship to influence government decisions and extort money from Korean companies. Hundreds of thousands of South Koreans hit the streets to demand Park’s impeachment. In December, the South Korean National Assembly acted on the people’s wishes. She is now suspended from the presidency while South Korea’s Constitutional Court reviews the National Assembly’s decision. The jury is still out on whether and how fast Brazil and South Korea will respond to their political upheavals. The stakes are high. Brazil and South Korea are the ninth and eleventh-largest economies in the world, respectively, and South Korea sits across a major geopolitical fault line. Syrian residents, fleeing violence in the Bustan al-Qasr neighborhood, arrive in Aleppo’s Fardos neighborhood on Tuesday after government troops retook the area from rebel fighters. What begins with promise can end in tragedy. When Syrians revolted in March 2011, it looked for a time that Bashar al-Assad would be swept from power. His Alawite-dominated government initially lost much territory to rebel groups. 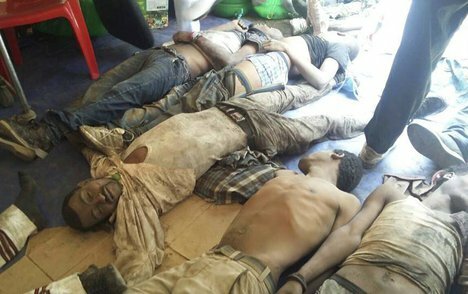 But by ordering the use of barbaric tactics that included chemical weapons and barrel bombs, Assad eventually managed to stem the losses. With Russia’s direct intervention in the conflict in September 2015, Syrian forces went on the offensive. In June 2016, they launched a massive operation to capture rebel-held territory in eastern Aleppo, once Syria’s largest city. A September ceasefire brokered by Russia and the United States collapsed almost immediately. Despite gut-wrenching photos and videos, Syria and Russia declined to end their assault on the city. Meanwhile, neither the United States nor any other country compelled them to stop the “worst humanitarian catastrophe in a generation.” On December 15, a deal was struck allowing the remaining rebel forces—along with many residents—to evacuate the city. Aleppo’s fall does not end the Syrian civil war, which has killed as many as half-a-million people and forced another 11 million people from their homes. Much of the eastern part of Syria remains in rebel hands. Even as Aleppo fell, the Islamic State recaptured the historic city of Palmyra from Syrian and Russian troops. The tragedy continues. Social media can be a powerful tool. Case in point: the July 15 coup attempt in Turkey.Around midnight, local time, a faction of Turkish troops moved to overthrow the increasingly authoritarian President Recep Tayyip Erdogan in order, they said, to “reinstate constitutional order.” The coup that almost no one saw coming looked to be succeeding at first. Erdogan, who was vacationing at the lovely seaside town of Marmaris, was nowhere to be found. Suddenly, he appeared on TV screens across the country. Using the FaceTime app on an iPhone, he called on his fellow citizens to turn back the coup. Turks responded. Thousands took to the streets, and by morning military forces loyal to the government had regained control. Erdogan blamed Fethullah Gülen, a former political ally living in self-exile in Pennsylvania, for the coup, and demanded his extradition. 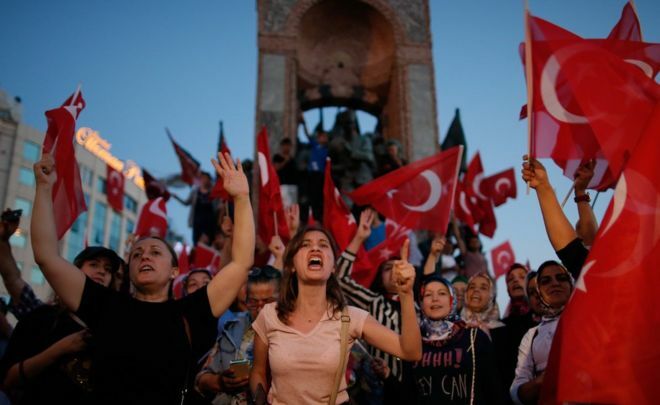 Washington declined to grant the request in the absence of definitive evidence, angering Ankara, and fueling conspiracy theories that the United States encouraged the coup, straining U.S.-Turkish relations. Back at home, Erdogan launched a massive purge of suspected “Gulenists” that subsequently spread to target government critics of any stripe. More than 100,000 officials have been arrested or fired, an array of media outlets have been closed or punished, and prominent Kurdish politicians have been detained. Erdogan emerged from the coup far stronger politically. Turkey’s democracy emerged far weaker. Foreign policy seldom shapes elections, but elections positively shape foreign policy. Rodrigo Duterte won the Philippines presidency in May with 39 percent of the vote, and quickly changed how Manila does business. A man of bluster and bravado with a strong anti-American streak, he distanced the Philippines from Washington, a country that Filipinos overwhelmingly like and that has a treaty of alliance with the Philippines. In Tagalog, Duterte called President Barack Obama a “son of a whore,” announced he would seek a “separation” from the United States and said that U.S. troops must leave the Philippines within two years. The primary beneficiary of Duterte’s anti-Americanism has been China, a country that many Filipinos dislike. After an international tribunal had rejected China’s sweeping claims to the South China Sea in a much-anticipated legal case initiated by the Philippines, Duterte said the ruling would “take the back seat” as he sought Beijing’s favor. Duterte has yet to take any certain steps, so perhaps he is playing the two powers off against each other. 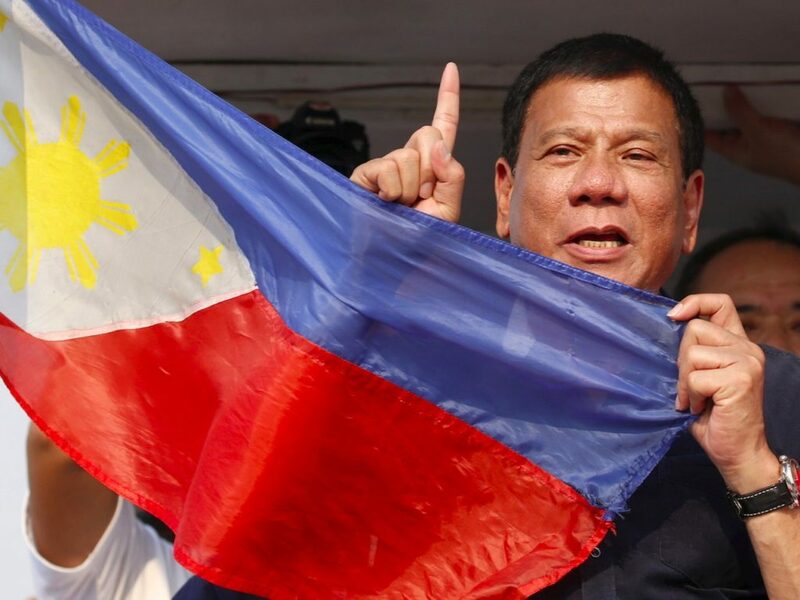 While the vigilante campaign he has encouraged against drug addicts and traffickers hasn’t hurt his popularity at home, it could be a major thorn in U.S.-Philippines relations. The campaign, which has killed at least 4,000 people, has been condemned internationally. (Duarte claims that he once killed criminals “personally” when he was mayor of Davao.) Should Duterte realign Manila’s foreign policy, it will remake East Asia’s geopolitical landscape. Police fire tears gas at protesters during Oromia religious festival, reportedly instigating deadly stampede in Bishoftu. And Associated Press report said, “several dozens” have died. Protesters chanted slogans against the Oromo People’s Democratic Organisation, one of four regional parties that make up the Ethiopian Peoples’ Revolutionary Democratic Front, which has ruled the nation for the quarter of a century. What do you do when you kick the can down the road and then run out of road? That’s a question the United States could soon be facing. For more than two decades, Washington has pressed Pyongyang to end its nuclear weapons program. But North Korea continues to forge ahead. In January, it conducted its fourth nuclear test since 2006 and followed that up with a series of ballistic missile tests. Then on September 9, it held its fifth nuclear test, producing an explosive yield of 10 kilotons, the highest recorded so far. Contrary to Pyongyang’s claims, North Korea probably hasn’t mastered the technology needed to build a hydrogen bomb. It is also likely several years away from being able to mate a nuclear weapon with a missile capable of reaching the United States with a high probability. However, North Korea can already strike Japan and South Korea. 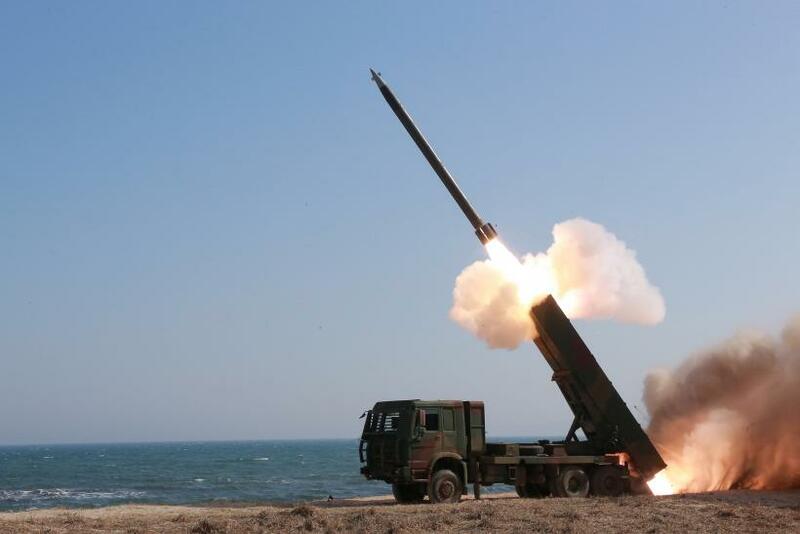 In July, Washington and Seoul agreed to deploy the THAAD advanced missile-defense system in South Korea. Washington also worked with Beijing on a tougher UN Security Council resolution that capped exports of North Korean coal, the country’s primary source of hard currency. But so far Pyongyang hasn’t changed its tune. As a result, President Obama has reportedly told President-elect Trump that North Korea should be the top priority for his administration. But that is easier said than done. The British government is split over what terms it should ask for in its divorce from the EU. If a November court ruling stands, the British parliament will have to vote to invoke Article 50 of the Lisbon Treaty and thereby formally start the process of leaving the EU. May says she wants to do that by March, but the Dutch, French, and German governments all stand for election in 2017. They likely won’t decide on what they will be willing to offer Britain until after their voters have spoken. So expect several more chapters in the “Brexit” saga, with the potential for a few surprising plot twists—and Scotland’s possible departure from the United Kingdom. Donald Trump got the last laugh. From the moment he announced his long-shot presidential bid on June 16, 2015, political experts dismissed his chances. But on November 8, Americans elected him the 45th president of the United States. He now belongs to a select group: he is one of just five presidents to win the office while losing the popular vote. He is also the first president with no prior experience either in government or the U.S. military. Candidate Trump vowed to build a wall on the U.S.-Mexico border, threatened to tear up major U.S. trade agreements, questioned the utility of America’s alliances, and denounced U.S. foreign policy as it has been practiced by both parties over the past three decades. Friends and foes alike now wonder what this “America First” foreign policy will look like in practice. Great power politics could see the biggest changes; Trump promises a tougher line with China and a softer line with Russia. His efforts on the latter score could set off infighting within Republican ranks, especially in the wake of the CIA’s conclusion that the Kremlin worked to help him win the presidency. In all, the odds are good that President Trump’s foreign policy decisions will dominate the news in 2017, and possibly redefine America’s relations with the world. In January, Iran severed diplomatic ties with Saudi Arabia after the Saudis executed Shiite cleric Nimr al-Nimr. In February, Pope Francis and Patriarch Kirill met in Cuba, the first time the heads of the Roman Catholic and Russian Orthodox churches sat down together in nearly 1,000 years. South Africa, Gambia, and Burundi, announced that they intend to withdraw from the International Criminal Court. Terrorists launched major attacks in Nice, Belgium, Pakistan, and Orlando. South Sudan’s civil war intensified. The release of the Panama Papers in April exposed how some wealthy people hide their money offshore. The Zika virus emerged as a major global health threat. In October, Iraqi forces, aided by Kurdish troops and guided by U.S. Special Forces, launched an offensive to reclaim Mosul. Matteo Renzi, who burst onto the political scene back in 2014 as Italy’s youngest prime minister, resigned in December after voters decisively rejected his plan to revamp Italy’s political system. The same weekend Italian voters went to the polls, Austrian voters chose Green Party candidate Alexander van der Bellen rather than Freedom Party candidate Norbert Hofer as their next president, thereby saving Austria from the stigma of becoming the first European country since World War II to make a far-right candidate head of state. 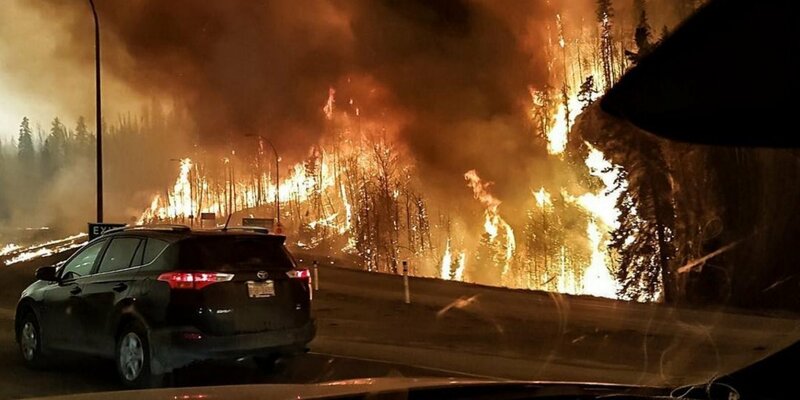 2016 will likely go down in the books as the hottest year on record—at least until next year.